Welcome and bienvenue to the official website of French professional poker player and Team PokerStars Pro Bertrand ‘ElkY’ Grospellier. 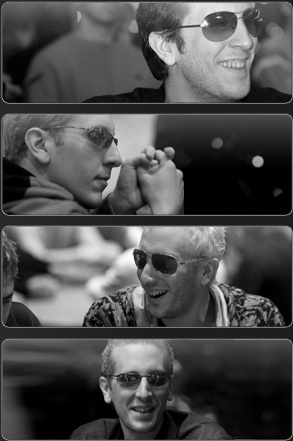 ElkY has quickly become one the most feared poker players on the planet. After honing his skills online he has gone on to dominate live tournaments all over the world. He is the most successful French poker player of all time and a prominent member of Team PokerStars Pro - PokerStars roster of elite professional players. Here at his official site you will find everything you need to keep up to date with his career, including a biography, ElkY's latest news section, photos of ElkY, and blog posts and strategy articles. PokerStars runs the world’s biggest online tournament series, the World Championship of Online Poker (WCOOP), which attracts the best players in the world every year, including ElkY. Indeed ElkY has found considerable success at the WCOOP, winning two bracelets in a stand-out performance in 2009. When it comes to live events, PokerStars delivers the very best. The European Poker Tour (EPT) is a particular favourite of ElkY’s and he has also found success on the Asia Pacific Poker Tour (APPT). Not forgetting the PokerStars Caribbean Adventure (PCA), hosted every year in The Bahamas, which ElkY won in 2008. All of these events attract the best players to the world’s finest locations. To be a part of all of this, simply download the free poker software, which is free to download in both Windows and Mac formats. Find the Poker Star in you. *WORLD SERIES OF POKER and WSOP are trademarks of Harrah's License Company, LLC ("Harrah's"). Harrah's does not sponsor or endorse, and is not associated or affiliated with PokerStars.com or its products, services, promotions or tournaments. 2007 World Series: Katja, Humberto, ElkY, oh my!